Your success as a business depends heavily on your ability to hire the right people. You need to attract, hire, and utilize people that have the right skills to contribute to your organization’s growth. However, that requires a well-defined strategy. It means that you need to make sure that you have the right tools on hand to capture applicant data, evaluate their viability, and move them through the hiring process at a speed that works for both you and them. Hiring can be a long and overly complicated process. It requires the involvement of many different people in some teams. It may require individuals both inside and outside your company to carry out a number of steps within the process to ensure that you find a candidate that will suit your needs. The right recruiting and hiring solution can help to simplify this process and ensure that you are attracting the most viable candidates for your business. In this article, we’ll cover how an applicant tracking system can help you to attract, hire, and train the best possible candidates for your job openings. In short — an applicant tracking system is exactly what the name suggests. It’s a way for companies and the HR teams that drive their hiring processes. An applicant tracking system helps you to grow the reach of your job listings, attract the right candidates, and then organize those candidates in a way that helps you to expedite your hiring processes. Today’s modern applicant tracking systems allow you to automate many of the menial tasks and small workflow operations that drive your current hiring practices. This frees up the time of your HR team and allows them to focus on big-picture strategies. An applicant tracking system will help you to zero in on the right candidates and ensure that you are attracting the best people for each position. Let’s say that you are looking for a C# programmer in the Seattle area. Rather than posting the job listing on many different boards and sifting through resumes in different formats and on paper, you can use an applicant tracking system to filter and sift through your candidates to focus on the ones that most closely match your needs. Any modern applicant tracking system will provide deep search functionality and filtering options. You can filter your applicants based on their level of education, experience in the discipline that you are hiring them for, and other variables that would be included in their resume or application. 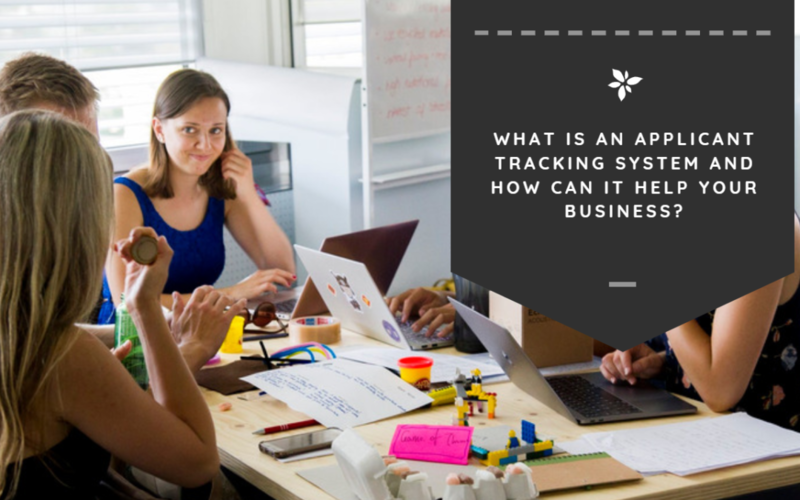 One of the reasons why many companies wait to invest in a quality applicant tracking system is that they are reluctant to move away from the way that they have always done things. What most don’t realize is that a modern applicant tracking system will allow them to keep most of their established workflow and only automate the portions that make the most sense for them. Most modern solutions will be completely customizable. They will allow you to utilize the portions of the platform that make the most sense for your own hiring process. Moving away from an established workflow in your hiring and applicant tracking systems will be a tough sell, which is why the top modern systems offer flexibility. Your modern applicant tracking system can also serve as your internal communication hub for your team. Everyone will be able to discuss applicants, track feedback, and receive automated notifications when important actions take place. The hiring process can be long and arduous. There may be many steps that an applicant has to undergo before they become a full-fledged member of your team. Phone interviews, first interviews, second interviews, data collection, onboarding — the entire process requires excellent organization, especially when you are hiring multiple different candidates at a time. An applicant tracking system will provide you with insight into the status of your job openings and the people that have applied for those openings. You can use your system to better understand the candidates that have applied, while also drilling down into each candidate to see what stage they are at in the process. Your company will want to see where your candidates are in the hiring process at a glance. Between all of your pending job openings and the dozens (or hundreds) of candidates that could potentially apply to each position — tracking the progression of these candidates through your system will be difficult. Modern application processes require that your candidates submit a lot of information — and not just their resume and cover letter. Before you reach out to a candidate for an initial interview, you should have a good idea of what information you will need and what questions you need to ask them to round out your hiring process. It’s important that you can capture the information that you need, when you need it, so that you can use it throughout your evaluation of the candidate. If you are tired of constantly going back to candidates to ask for more information, you may want to consider advocating for the investment in a system that can help you to deal with these issues. There are many applicant tracking systems that companies can utilize today. Because Organimi goes hand-in-hand with a good applicant tracking system, we want to make a few recommendations to our readers that are looking to invest in their own system. Each of these modern solutions provides deep features that will help companies to save money and free up the time of their HR teams. Using tools like this, you can maintain your existing hiring and applicant tracking processes while automating menial tasks. In the end, these tools allow you to provide a better experience to candidates while improving your process internally.